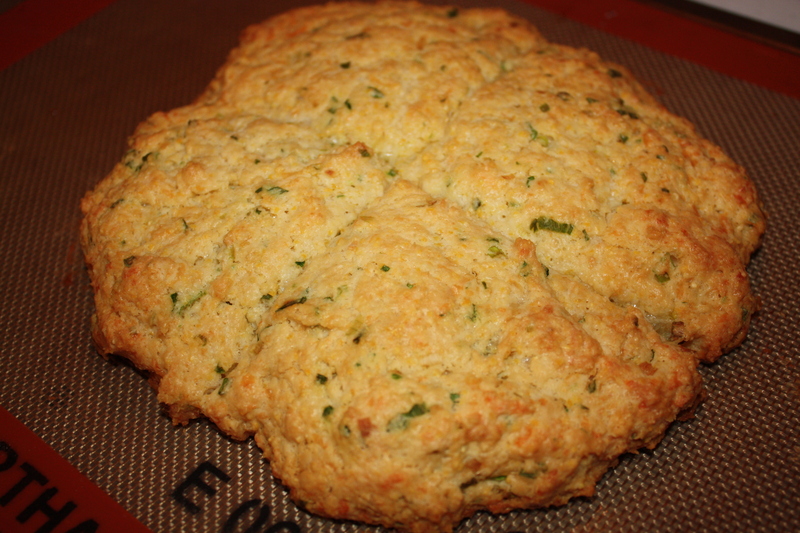 After two unreal scone experiences at Cha-An and Le Pain Quotidien, we were moved to make cheddar scallion scones at home. 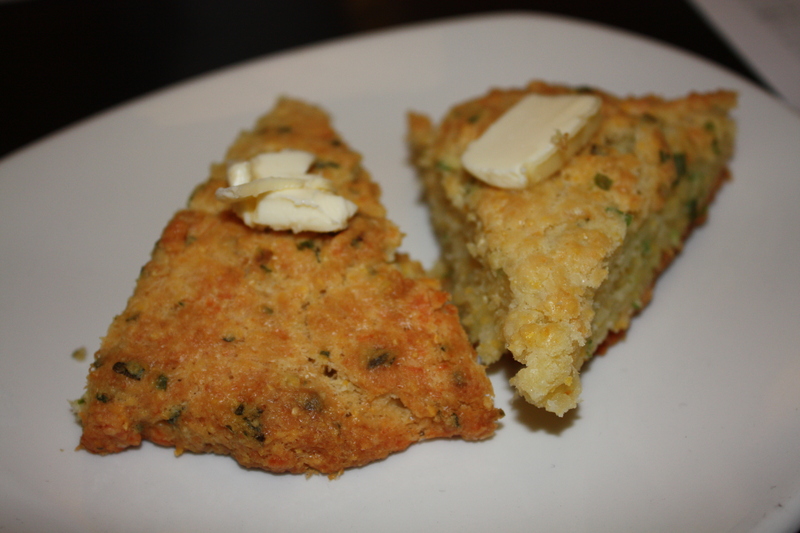 The additional cornmeal provided a great crunch and texture on the exterior and the interior had a nice crumb. 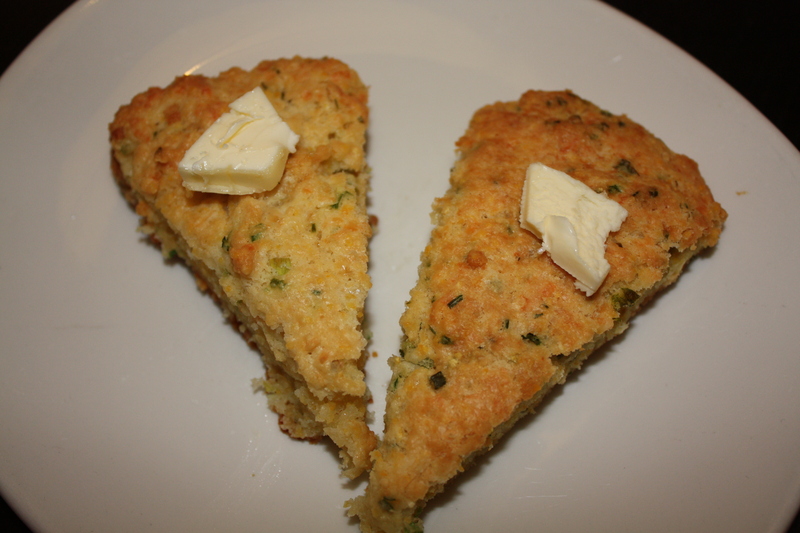 What I loved the most about this recipe was as the cheddar scallion scones were baking in the oven, the aroma that permeated the room reminded us of the smell of Chinese scallion pancakes. 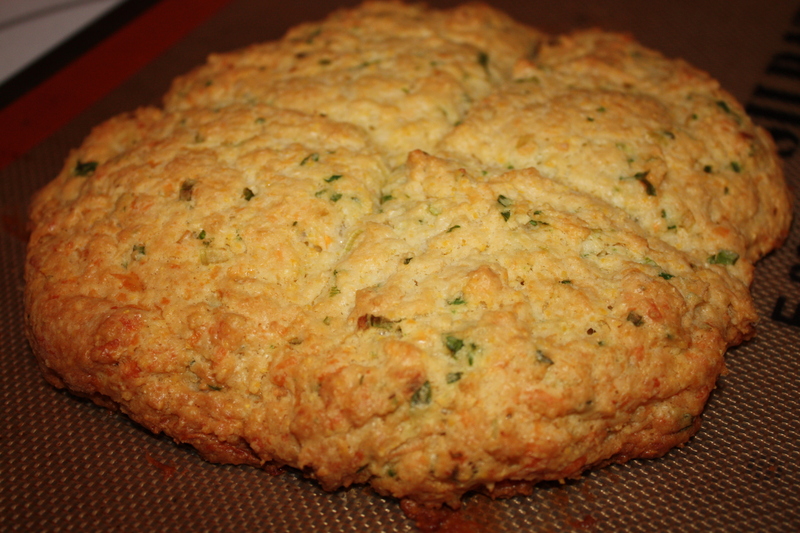 We wanted to test half the recipe with scallions and the other half with chives. So we used 1/4 cup scallions and for the other half of the batch 1/8 cup freeze dried chives and 1/8 cup chives. 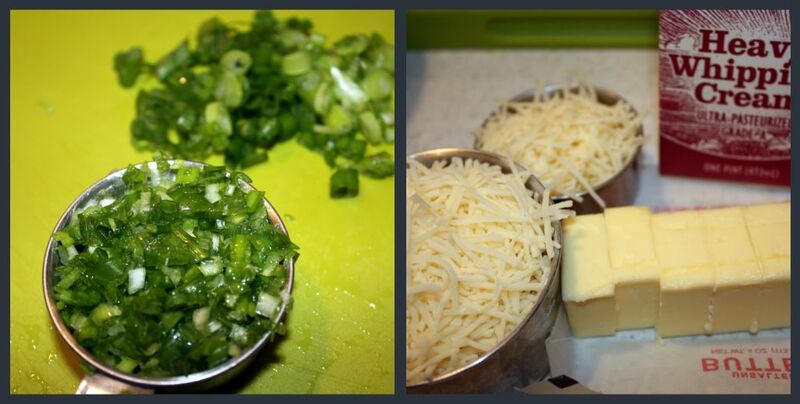 After taste testing both, we highly suggest using scallions in the entire recipe versus chives. Scallions provide a more savory, fuller flavor. The chives are more delicate. Whisk together flour, cornmeal, baking powder, sugar, and salt and butter. 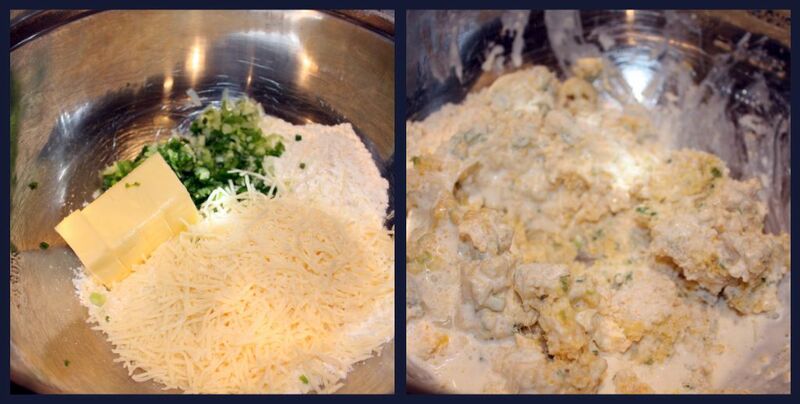 Add chives and cheddar, tossing to combine. Stir in cream and egg with a fork until a sticky dough forms. Turn dough out onto a lightly floured surface and knead 8 times with floured hands. Halve dough and form each half into a 7-inch round. Brush tops of rounds with additional cream and cut each into 4 wedges. Arrange wedges about 1/2 inch apart on an ungreased large baking sheet and bake in middle of oven until golden brown, about 40 to 50 minutes. Cool on a rack for 30 minutes and cut into prescored wedges (the cuts will be visible but will have baked together) and serve.